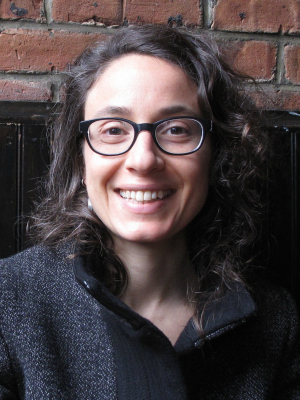 A commentary in the current issue of the journal Nature, co-written by Hillary Angelo, UC Santa Cruz assistant professor of sociology, argues that while big cities appear to be islands of sustainable living, issues of social equity and global impacts are missing from measures of cities' environmental friendliness. The essay “Expand the Frontiers of Urban Sustainability" calls on mainstream urban research and policy practice to broaden conceptions of sustainability socially and spatially. They recommend incorporating more spatially extensive measures of sustainability into research and planning and bringing social equity into the heart of sustainability research, planning, and policy implementation. Angelo, who joined UC Santa Cruz a year ago, wrote the piece with colleagues David Wachsmuth of McGill University and Daniel Aldana Cohen of the University of Pennsylvania. It is the lead commentary in Nature’s opinion section and appears online and in the August 25 print edition. The authors note that although cities were once seen as sustainability problems rather than solutions, this changed as concerns over suburban sprawl, shanty towns, and climate change grew. In recent years, awareness has grown that clustering people in energy-efficient buildings and walkable, shady neighborhoods can make cities more pleasant places to live and better for the global environment. Angelo is an urban sociologist who studies interactions between social understandings of nature and processes of urbanization. Before beginning her Ph.D. at NYU, she worked with the New York City Department of Parks & Recreation for five years on issues of participatory design and immigration and public space use. In the coming academic year at UCSC, she will teach Classical Social Theory and Sociology of Knowledge, which will include studies of climate change and sustainability.